I’m admittedly a sucker for things that are new and out of the ordinary, more so, when it comes to food. Hence, I’m usually willing to try out a new restaurant or bar, notwithstanding the lingering possibility that the dining experience would later turn out to be, umm… not so good. But, as eager as I am for new tastes, the culinary adventurer in me takes a backseat when it comes to my pizza, preferring instead to stick with the old reliables — traditional favorites really — like Shakey’s, Pizza Hut, Domino’s and more recently, Yellow Cab Pizza. Sorry folks, Greenwich and 3M Pizzas just don’t make the grade in my book. And don’t even bother mentioning the name Don Henrico’s, but you can include those uber massive, inch thick Chicago style pizzas from Sbarro’s in the list. In spite of what I said earlier about not being too keen on going out of my comfort zone, I eventually found myself sitting in one of the tables and checking out the menu inside the Duke of York pizza joint two Saturdays ago. Yes yes I know, I’m breaking my own rule, so sue me. Anyway, since I’ve been passing by this unassuming pizza joint — surreptitiously squeezed between a more established pizza chain and a Chinese restaurant — more times than I could remember during my frequent trips to Robinson’s Place Manila, I thought… what the hell, I’ll go crazy for once and see what this tiny upstart in the pizza game had to offer. 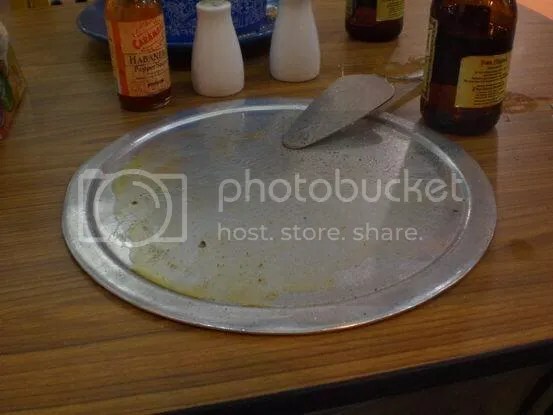 … and this empty pizza dish is undeniable proof of how happy my taste buds were. Their prices may be a bit above average but fortunately, so are the portions. The solo size alone is robust, and certainly packs more punch than the Shakey’s thick-sliced variety. Suffice to say my first time had left me satisfied, and it was enough reason to go back for the second time last weekend. Oh didn’t I tell you? Been to the joint twice already, and the fact that they also have the 3 beers for a hundred bucks promo helped too. luckily you’ve got a metabolic rate like a house on fire, or else someone’s gonna give santa a run for his money. looks really yummy! 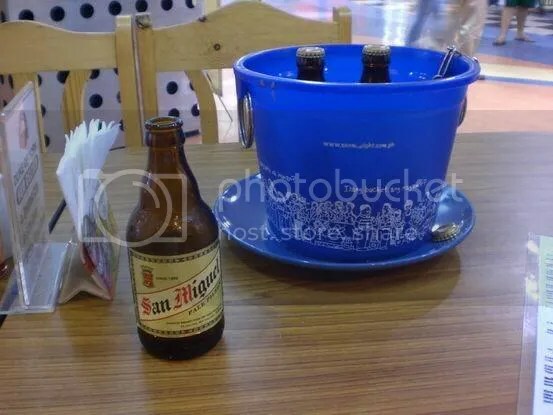 dapat pala kumain muna ako bago ako nagbasa heheh. do they have other branches? 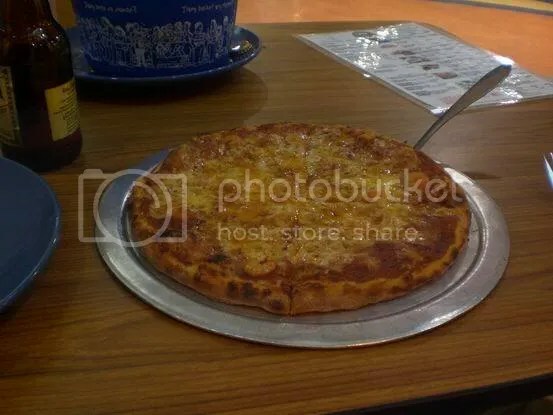 Yummmm…that pizza looks really inviting. Will take your word for that 🙂 How many varities do they have by the way? Carlotta> A present, Robinson’s Place Manila is it. Although one of the staff mentioned that the owner is negotiating with the Ayala Malls. duke of york should transfer to the new wing in rob place for a change. the lighting in their present location is a bit dim. the only time i go to that wing is whenever i have cravings for dencio’s sisig. i’ll try this one when i have the chance. normally, i stick to the good ol’ reliable pizza joints. Dymples> YUP! I ate it all by my lonesome self. Good thing I have a big space in my stomach, haha. Duke of York — sounding pan-royalty ha. Sana the little pizza joint would soon thrive and lead to franchises in locations accessible to us. Hahaha. Mukhang allergic ka din sa Don Henrico’s, like me. That pizza really looks nice, yummy and baked to a perfect crunch. Gusto ko sa pizza, malutong – yung thin crust, pero puno ng toppings. Yummy! dun na lang next EB :- ) syempre KKB! bwahahahah! oh, i like don henrico’s, in Baguio that is! they got the most generous vegetarian pizza up there! for such a yummy looking pizza, how much is the damage? Zherwin> I paid 200 bucks for the pizza, which was the shrimp and garlic variety, plus yung beer promo nila na P100.